Nestled 1 mile West of US 49 in small town Archie! 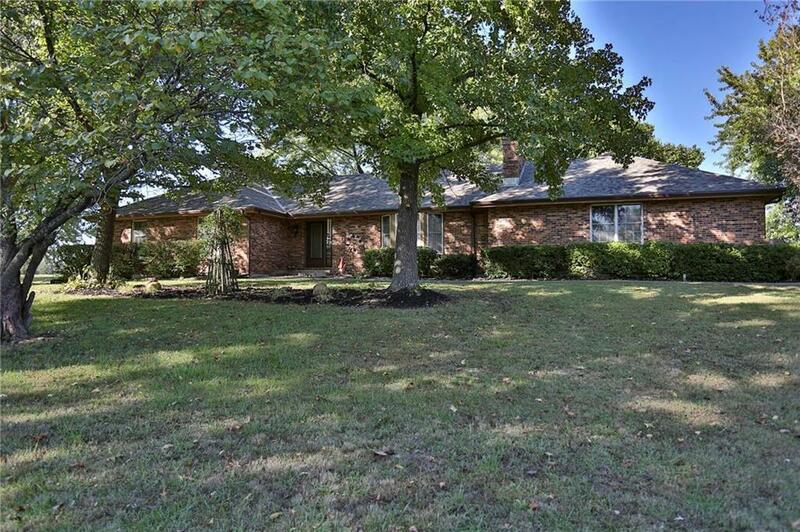 This classy all brick ranch sits just outside of city limits on a dead end road. Inside boast updates including granite counters, newer carpet, 6 panel doors. Cosmetic updates are all this place needs. Great room has vaulted ceilings with large brick fireplace. Mud room style/ laundry room. Beautiful stamped concrete patio. Full unfinished basement ready for future expansion. Park like setting, scattered tree's and partially fenced. Directions: US 49 to Archie Exit, Go West to South West Outer Road, South to State Route A, West to Truman Road, North to end of road to house. 2nd house from end of road. Look for both signs.